The 3rd annual Fakawi is an all ages, all level, mountain bike ride. 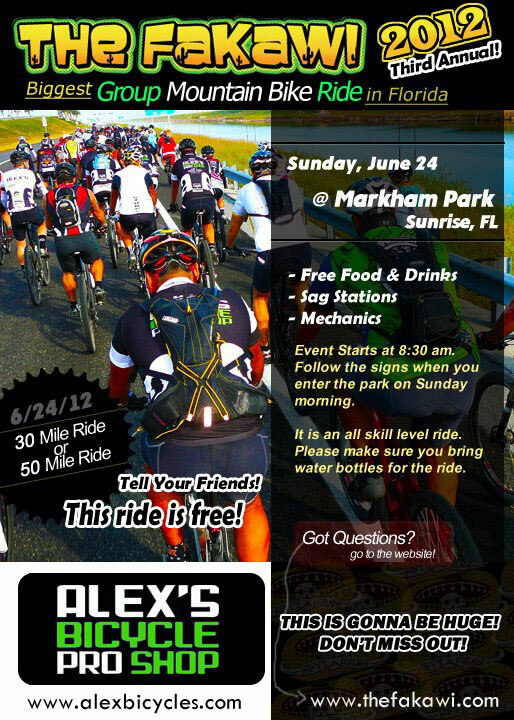 The biggest group mountain bike ride in Florida! 30 & 50 Mile options. There will be sag stations, free food, and great times! No entry fee, but donations are welcome!